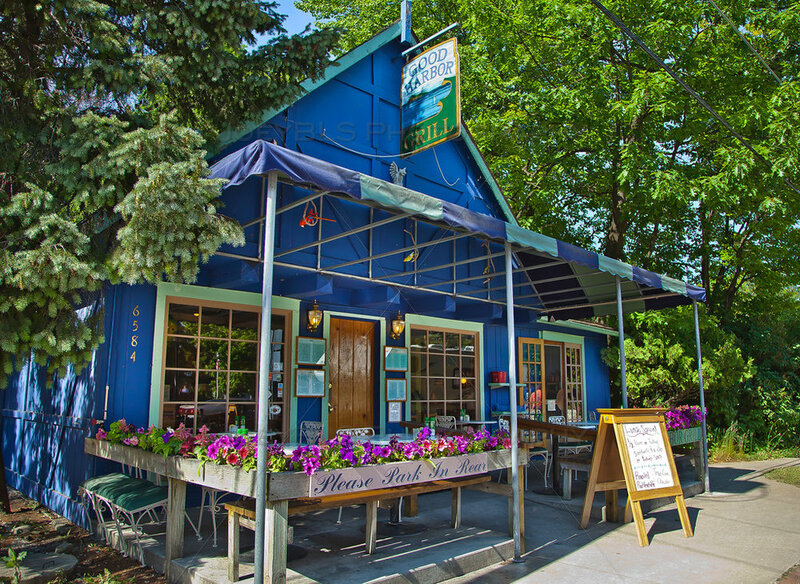 Simply the go-to spot in Glen Arbor for a drink, a burger, a game of pool--whatever your heart desires. This spot is similar to Art's (the Midwest has the tavern game down), and is a ten minute drive from Glen Arbor. Our recommendation? Bike there on the Heritage Trail, and mix exercise with leisure. Head here for the live music (and the booze, duh). This Italian restaurant has generous portions and a cozy ambiance. Quite popular--book a reservation in advance. Our recommendation for breakfast or lunch--the Instagrammable venue (bright colors, see left) is well worth the meal. Come here for dinner, and order a bottle of wine while you dine overlooking the river. Head here for an early morning recovery after a night at Art's, Boonedocks, or Joe's. The place to go for your hangover cure. The mountains of sand are simply beyond belief. Head here for a hike, or merely to run down the dunes. As mentioned above, reward yourself with a beer at Joe's Tavern before heading home. Act like Hemingway and go fishing on Glen Lake. Bring a flask or two to really complete the experience. The hunting in the island of North Manitou is not to be missed--just check to make sure you're in season. Welcome to the cherry capital of the world! Relax in the outdoor garden, and try to avoid staining your clothing. "America's Freshwater Resort" is always a good decision when booking a trip to Michigan. The owners are friendly (you're in the Midwest: duh), and both Inns are conveniently located right in the heart of town. Go native and book a rental via Leelanau to experience how the fresher half lives (get it? they're not saltwater vacationers?) We'll see ourselves out. Shoutout to Mary Kate Miranowski for the insider tips!